It’s hard to imagine in this day and age that any guest will check into your hotel without first checking it out online. That starts with of visit to your website. Your website should be elegant and professional looking. It should also include a lot of great photos of your establishment. Not only do you want to highlight your property but also the surrounding community. The main reason people check into a bed and breakfast is not for its charm. That is an important selling feature but the most important aspect will be your pricing. This means you can price your bed-and-breakfast the same rates as a hotel. Your guests are looking for an alternative and that includes with their fees. You won’t be the only bed-and-breakfast in Columbus. Although you are in competition, there’s no reason why you can’t learn from your fellow innkeepers. It’s always a good idea to check in for night and see the world through the perspective of a potential customer. What are those businesses is doing right in one of they doing wrong? It could be a very informative stay. There are several travel websites that allow for customer reviews. Yelp and TripAdvisor are among the biggest. You need to constantly check in with those sites to see how your bed-and-breakfast is being reviewed. You should be able to respond to both negative and positive reviews. You can also encourage your guests who had a great experience to share the reviews. Any chance you get earning five stars you should take! The busiest people at your bed-and-breakfast should be your housekeepers. There’s no excuse for a dirty room. 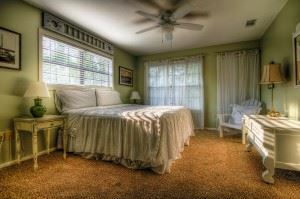 Your customers will have a keen eye open for the level of cleanliness at your bed-and-breakfast. Junk King Columbus can be a help with this cleanup effort. If you have overflowing furniture, appliances, electronics and other clutter then you should turn it all over to Junk King today. One session with Junk King Columbus can make sure your bed-and-breakfast is as spotless as possible. This entry was posted in columbus junk removal and tagged bed and breakfast, junk king columbus, junk removal on July 24, 2017 by Junk King. Last updated July 24, 2017 .